You eat right and exercise, but for a flatter stomach, you may need extra help: take time to consider a tummy tuck. This procedure involves making a series of incisions to remove abdominal skin and fat and re-tighten stomach muscles. We are able to customize the tummy tuck cosmetic procedure for our patients based on their needs. If you have a fairly small amount of belly fat and would like a more contoured abdomen, a mini tummy tuck may be a good choice. For loose abdominal muscles and droopy or stretched skin, Dr. Garcia performs total abdominoplasty. Request a consultation or call the office at 518-793-0475 today to start enjoying a flatter, tighter stomach. 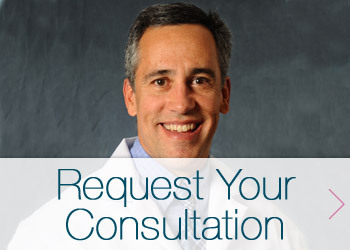 Dr. Garcia strives to make your cosmetic surgery experience as convenient and rewarding as possible. What’s Tummy Tuck Surgery All About? Loosened muscles, saggy skin, stretch marks, and belly flab can prompt men and women to consider tummy tuck surgery. Abdominoplasty changes the appearance of loose, flabby skin that has lost shape and elasticity and won’t respond to diet or exercise. After pregnancy, many women are bothered by stretch marks or C-section scars – tummy tuck tightens while removing stretched skin and old scars. Just one of many options for a Mommy Makeover. Many people are self conscious about loose, flabby skin around their stomach, and often find that a more balanced figure boosts self confidence and gives them more clothing choices. Patients often choose abdominoplasty to regain their youthful appearance, when they had better muscle tone and a slimmer figure. Dr. Garcia always focuses on comfort throughout your individualized surgical experience. After making the incisions, which frequently extend from hip to hip but can be shorter for mini tummy tuck patients, excess skin and fat is removed, the belly button is repositioned and “internal abdominal girdle” is tightened to produce flatter appearance. Sometimes, liposuction of flanks or abdomen is necessary in conjunction with a tummy tuck. Curious about what kind of results you can expect from a tummy tuck procedure? Check out real patient before and after photos here! After your tummy tuck procedure, you will stay overnight in the hospital. Upon discharge, you’ll be given instructions on caring for your dressings, and over the next few weeks you should gradually begin to feel like yourself again. At your consultation, Dr. Garcia can answer your questions about tummy tuck or any of his other cosmetic surgery procedures, including liposuction, arm lift or even a mini tummy tuck. Request a consultation by filling out the form below or call 518-793-0475 today to start making a change for the better.